I spent the first 30 years of my career in the printing industry. It was something I always did. The good part about this business is that I met some amazing people along the way. It was here that I had the great fortune of working with one of the premier food photographers in the world. Watching him work and talking about food got me very interested in the industry. My experience with food packaging, developing point of purchase and entertaining clients was not enough to feed my passion. I knew I wanted to cook! Once I figured this out, I realized the importance of adding food service experience to my sales expertise. As crazy as it sounds, I undertook an internship with a prominent executive chef in the evening, and worked my “real” job during the day. My goal during this internship was to learn all that I could about the restaurant business, food preparation and the “ins and outs” of ordering large quantities of fresh products to keep the restaurant running. I did any kind of grunt work the chef would throw at me. At the end of the evening, my body was exhausted, but my mind and heart were racing with excitement. 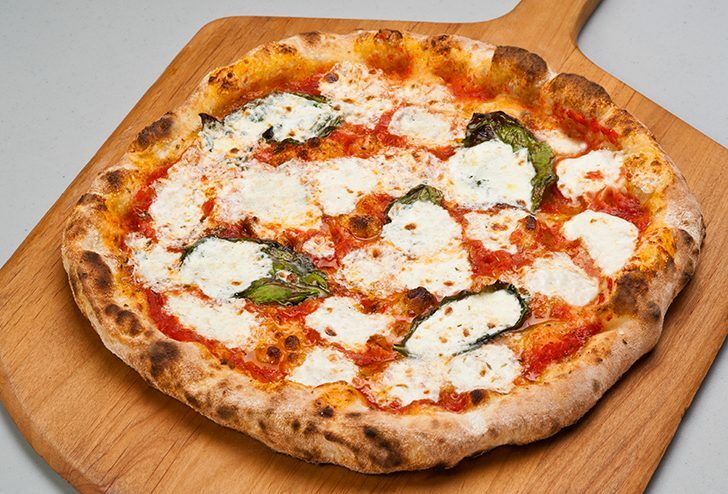 In March of 2007, I received the latest Food and Wine magazine with a cover photo of this amazing Margarita pizza. It looked so good, I wanted to eat it right off the cover. I must have read the article a dozen times. I love pizza, and I was like most people when it came to eating it. I was not very particular about the kind of pizza I would eat. It was at that moment that I knew that I needed to begin researching pizza flour and how to make the perfect dough. I spent the next year experimenting with making pizza dough and started baking a lot of pizza and in our home oven and BBQ. The pizza got rave reviews from family and friends. All I could think about was making pizza. My first experience with a wood fired oven was in the Bay Area where I helped to prepare pizza for a friend’s party. My passion for making pizza was ignited! A wood fired oven made all the difference. When I returned to Southern California, I took on an internship with a very well known wood fired pizza restaurant in the upscale South Coast Plaza area. It was here that I learned to experiment with ingredients and combine tastes to create unique pizzas. If you have a dream, you have to live it. 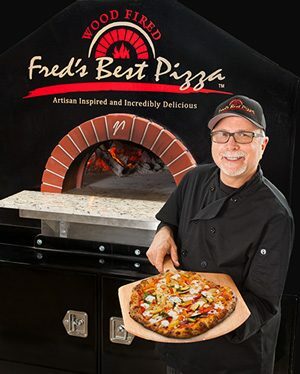 Together with my family, I decided to leave the printing industry and build my own wood fired pizza business. We gave up a lot to purchase a mobile oven and truck, but I have never been happier. I now think about pizza making 24/7. I spend my days in my prep kitchen and my evenings preparing my delicious pizza for eager patrons. I am the luckiest guy in the world. “ Thank you Fred! Your pizzas are awesome and I especially loved the honey dates and walnuts. designed & developed by simple inc.